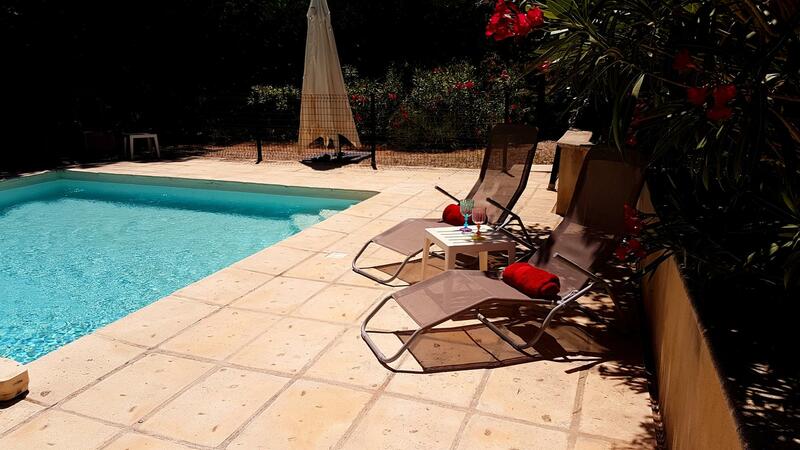 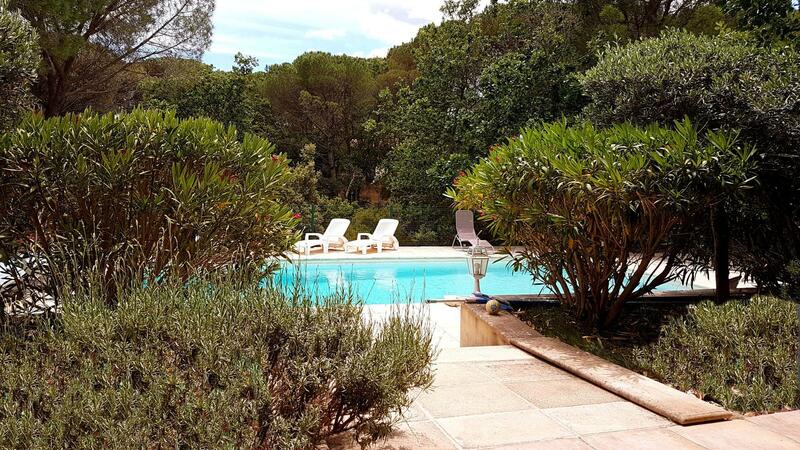 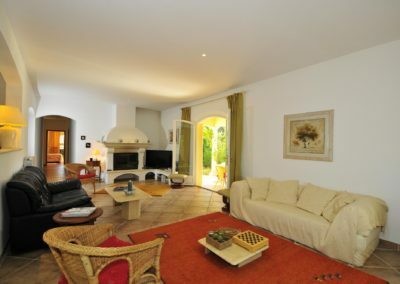 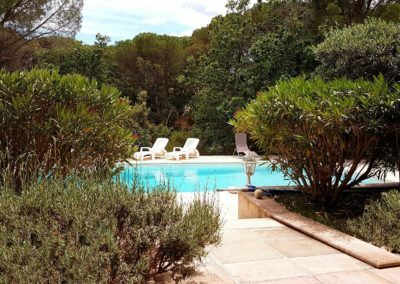 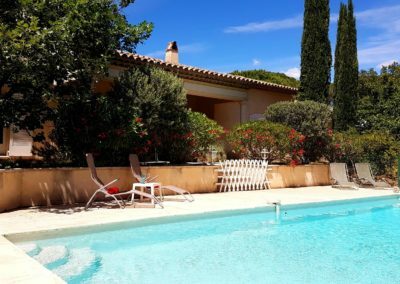 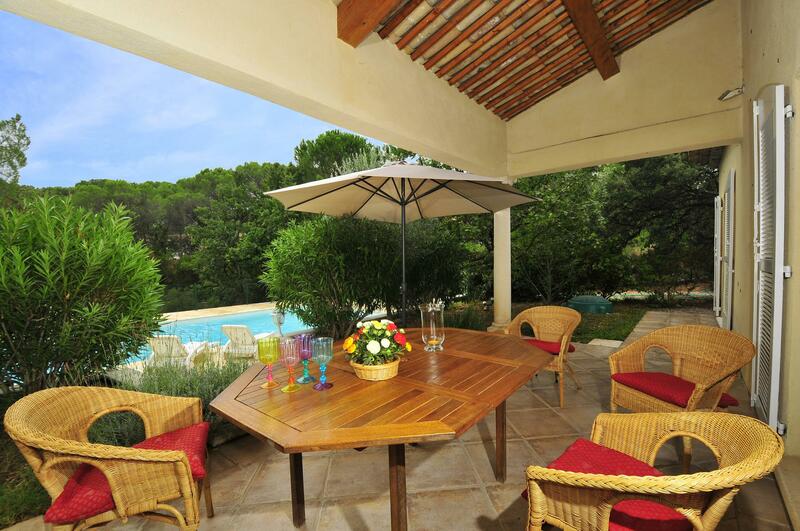 Luxury villa holidays in south of France – ideal for a couple or small family, this is a great holiday house with a private pool, set on a domaine just 2 miles from Vidauban. 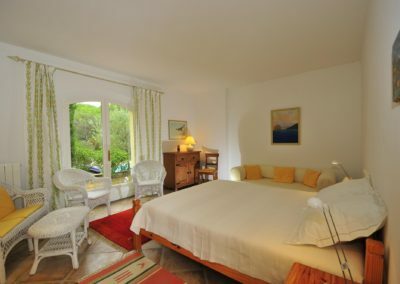 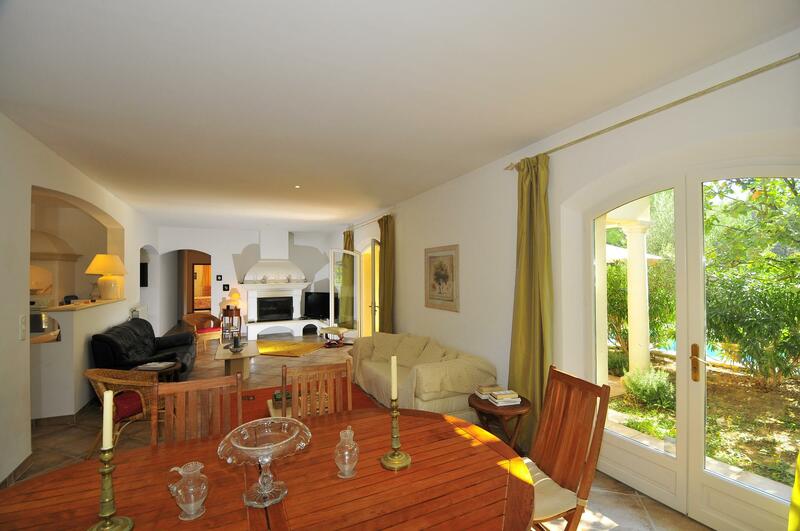 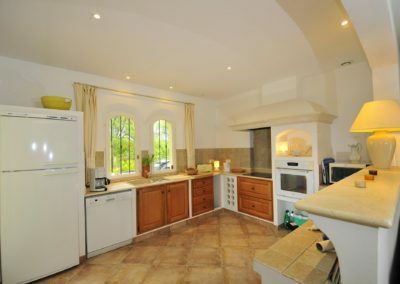 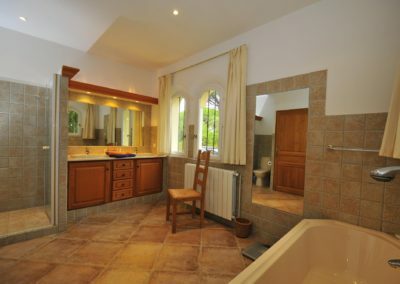 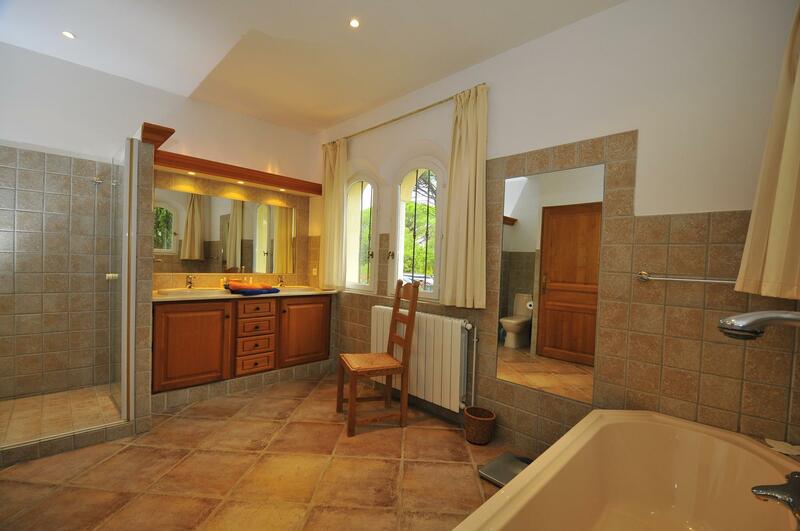 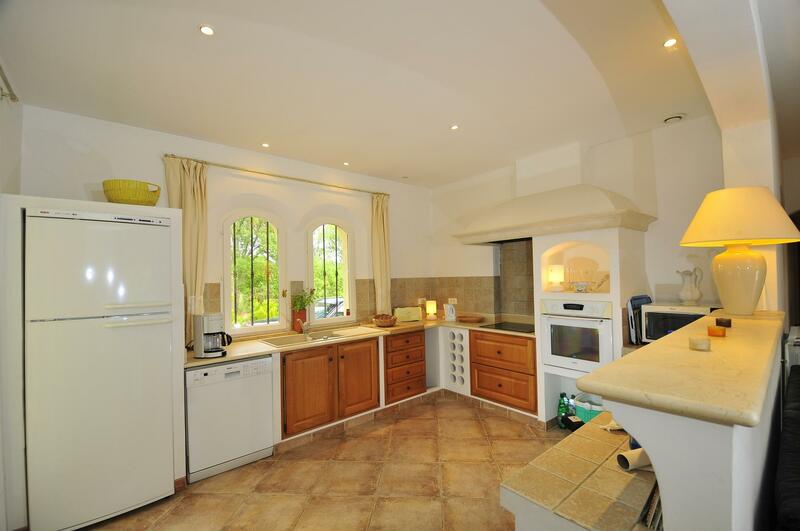 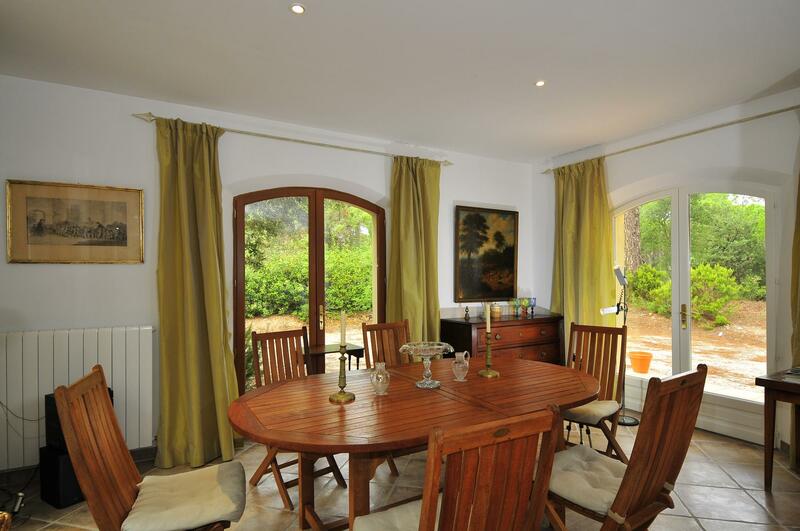 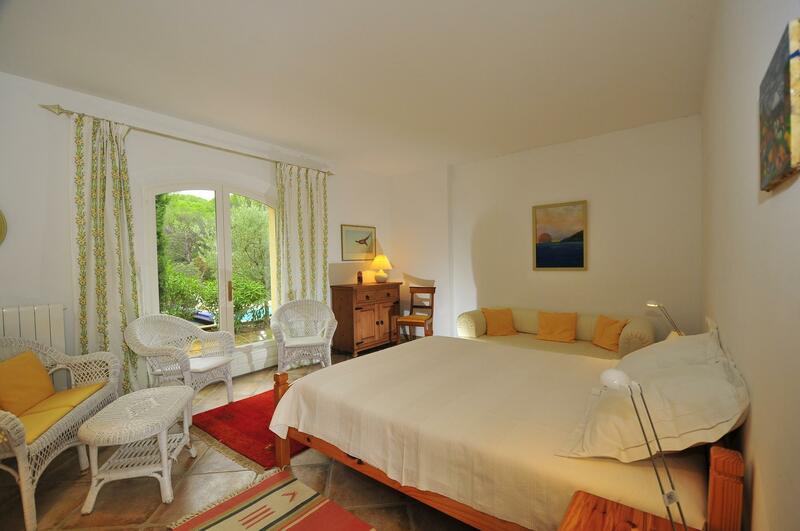 Large airy rooms, tiled floors and French windows opening onto the terraces create a feeling of space and tranquillity. 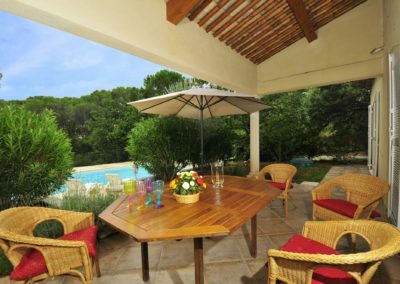 The outdoor dining and pool terraces extend the living space and provide a delightful setting for relaxing on a summer’s evening. 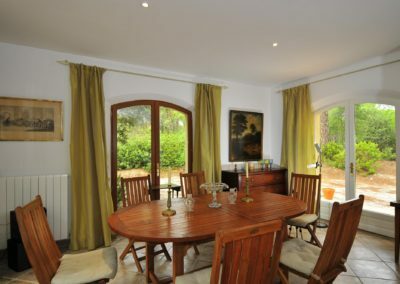 Vidauban and the surrounding countryside is known to the French as the backdrop for the charming autobiographical films of the famous author Marcel Pagnol, and in international equestrian circles as the venue for major dressage events. 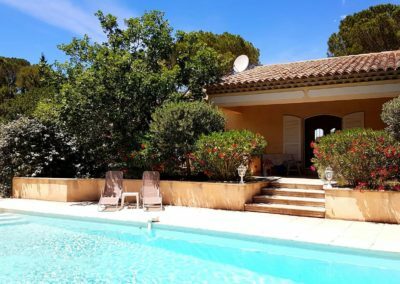 The town has two excellent restaurants, and is ideally placed to explore the Var and St Tropez coastline, as well as eastern Provence. 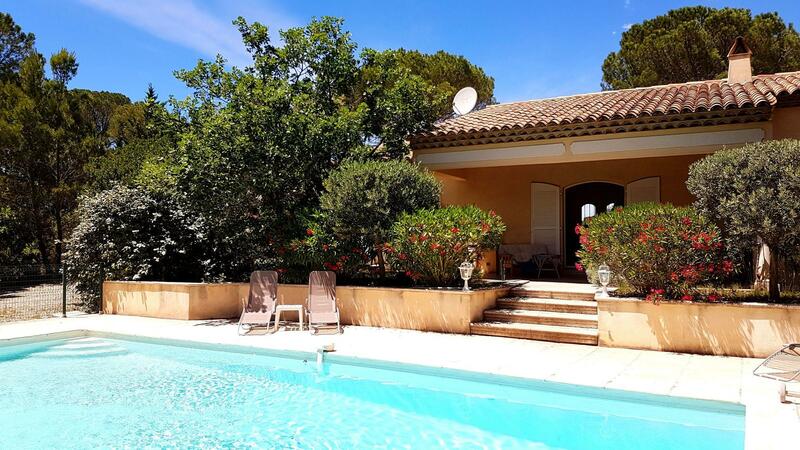 Nearby Lorgues holds one of the major markets in the region every Tuesday, whilst Salernes is renowned for its potteries and Tourtour, known as the ‘ village in the sky’ offers breathtaking views. 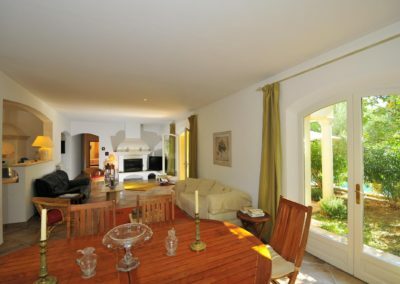 The villages of Cotignac and Villecroze are set against a natural backdrop of caves. 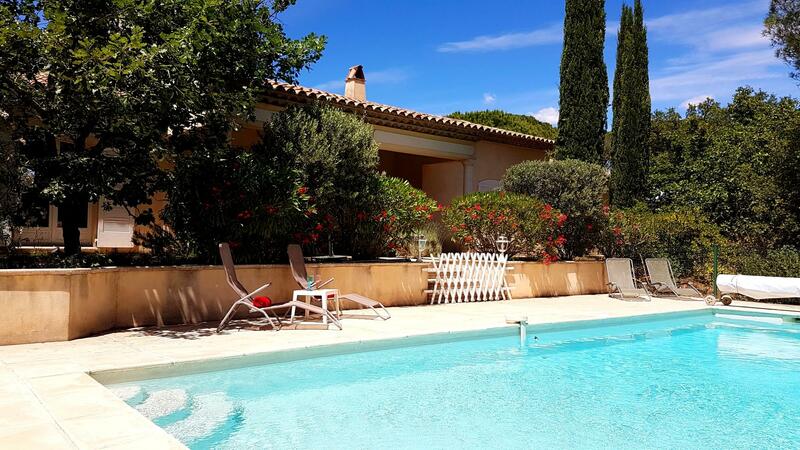 Delightful Aix-en-Provence is less than an hour’s drive, as is the Gorge de Verdon, one of the top most spectacular sights in Europe. 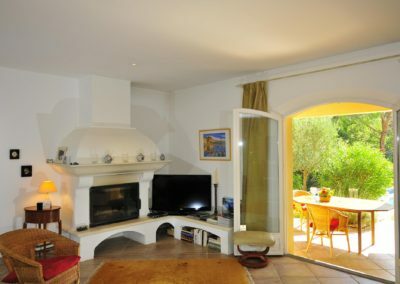 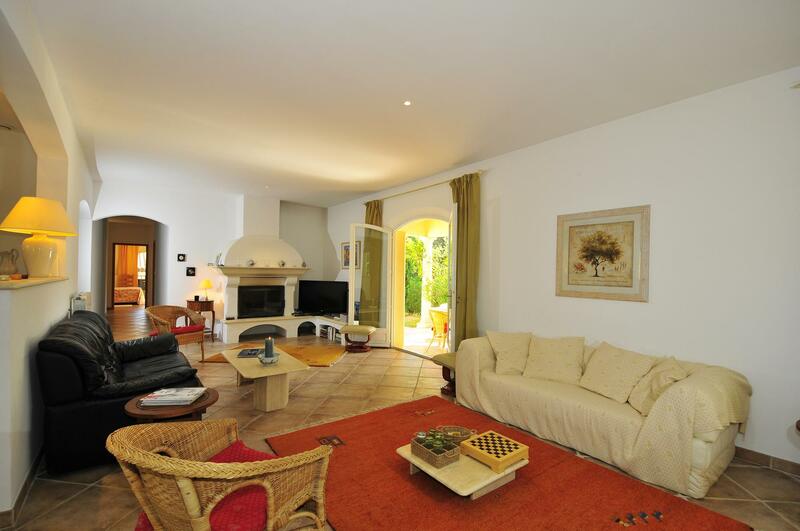 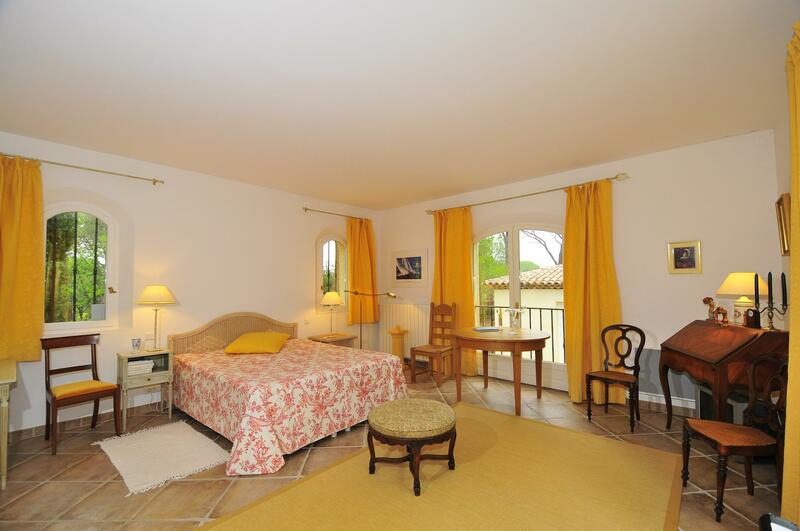 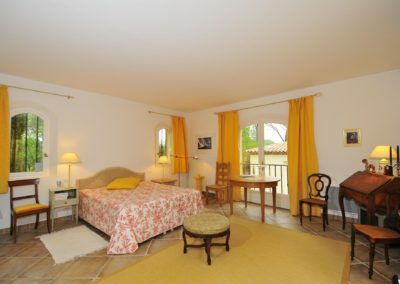 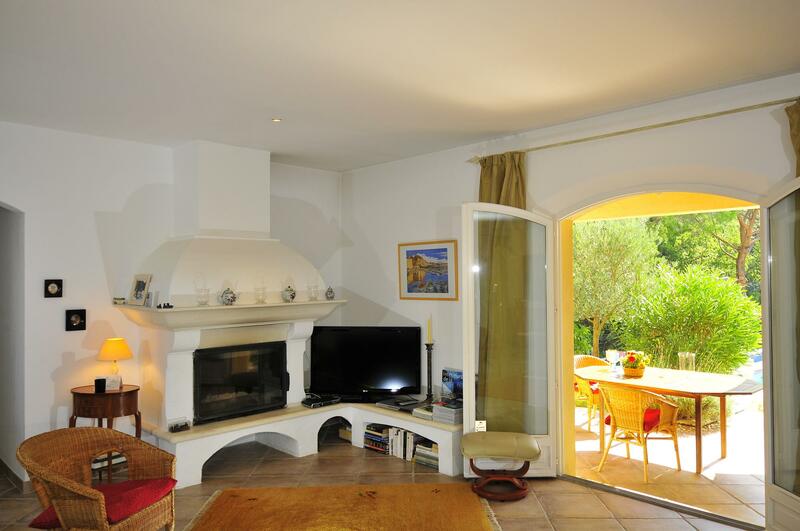 The nearest beach is at Ste Maxime, less than 40 minutes away.